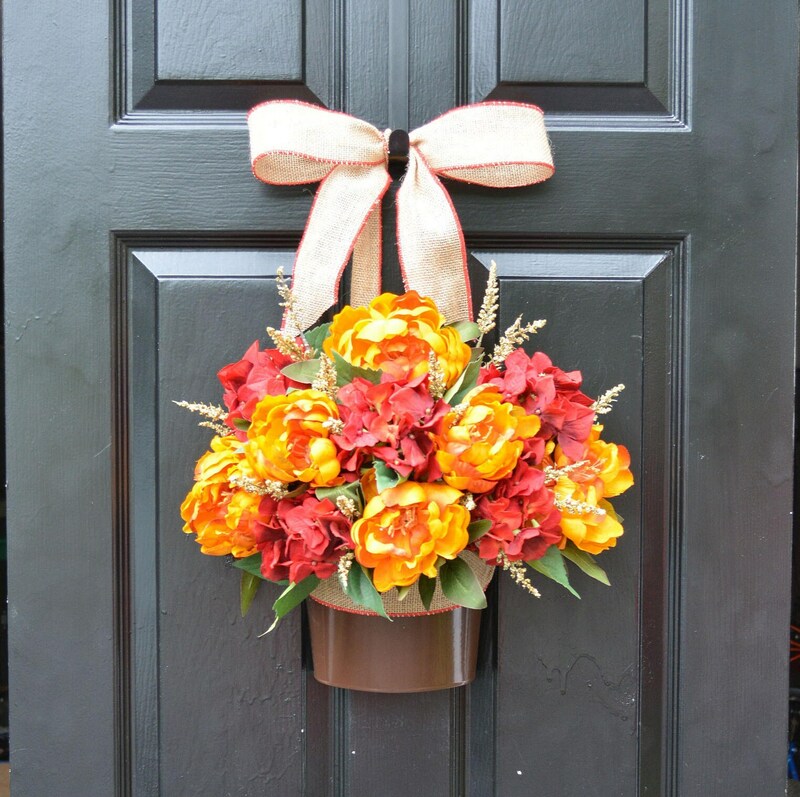 A gorgeous floral arrangment for your front door! 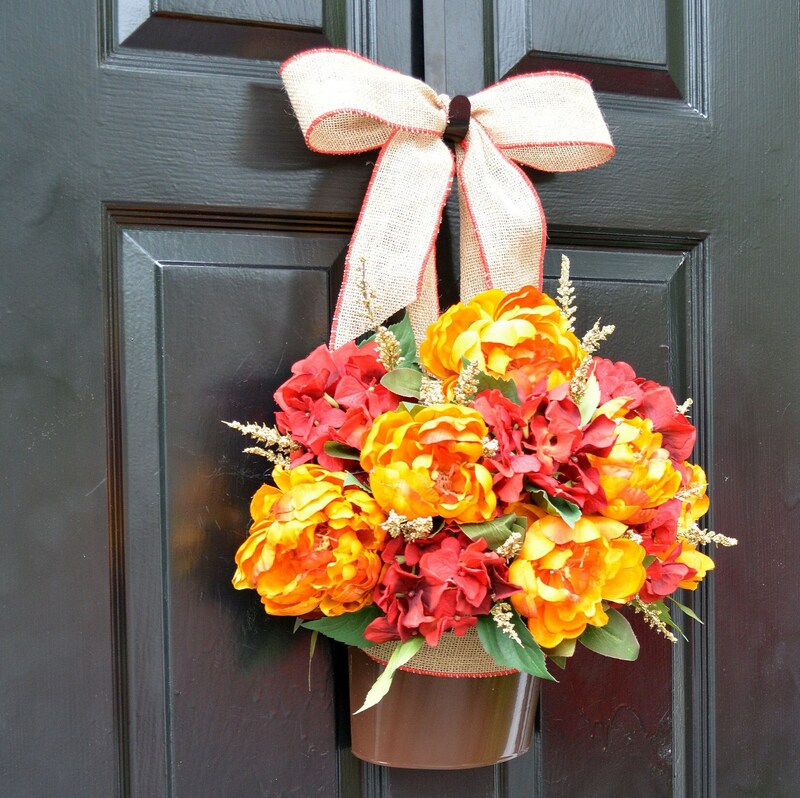 Alternating yellow peonies and red hydrangeas grouped in a chocolate door bucket makes this a great alternative to a fall wreath. 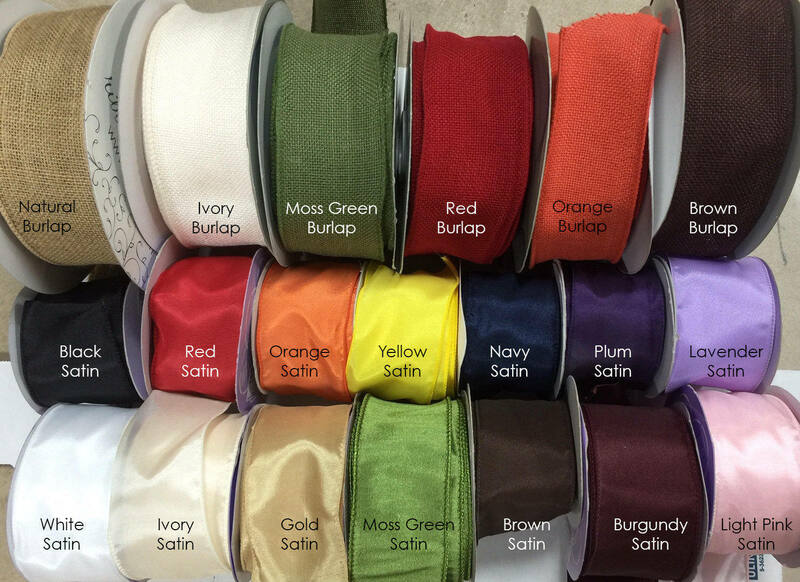 Hung with a natural burlap bow trimmed with red piping. Measures 18 inches wide, 22 inches tall and 6 inches deep.